Being on the chubbier side has always had a lot of drawbacks; and they almost always have something to do finding things that fit you. It may be a sport, some threads, or even a tight doorway; the world just has something against the big boned. But at least, there’s one thing they can’t take away from you, and that’s your right to have a stylish head of hair. And while, there are some looks that you should probably stay away from since they don’t really compliment you like a surfer cut (because no one likes to be called “a fat emo kid”), there are loads of other stuff you can try out on your hair. Jen Leung, artistic director of Hombre Manila, a premier men’s salon in Makati, says that hairstyles don’t really have given names so she’s allowed us to used some of her tips and come up with names ourselves. The general rule is “to cut your hair shorter on the sides and longer on top,” says Leung, so any kind of cut under that category would essentially work… even dreadlocks! Yes, with faded sides and some short to medium length dreads, you can rock a pretty reggae aesthetic. “Facial hair also helps in framing your face,” says Leung. “The idea is to make your face look longer,” says Leung and what better look to highlight that killer jaw-line and prominent chin than a stylish pompadour? Charm everyone with your matinee idol by day, rugged, mysterious yet “mukha siyang mabango” vibe come nighttime. 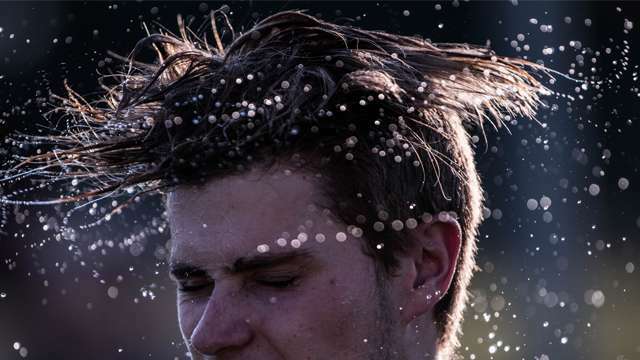 Warning: Amount of hair product needed might be hazardous to the environment. This is the hair you want if you can’t fully commit to a Mohawk because you’re afraid of being disowned by your uptight parents. It’s the thin line between over the top and conservative, which is really what you should be looking for if you have a chubbier face. Tamang dating lang. The idea behind messy hairstyles is that you want to look good without making it obvious that you actually made the effort to do so. This is pretty easy to do considering you don’t need much styling to keep this hairdo looking fresh. All you really need is a few seconds at the blower and a bit of product spread all over your hair and you’re set. “Make sure that you have volume, texture, and body on the top of your head to make it look good,” says Leung. 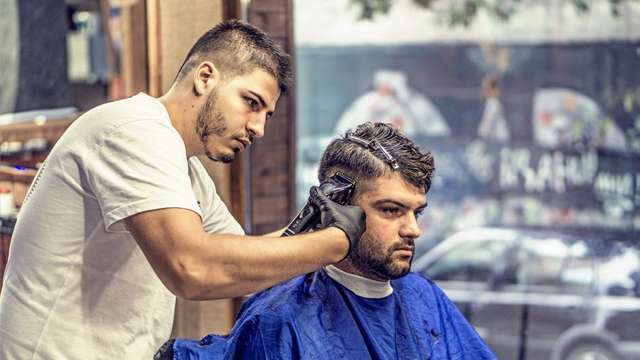 A crew cut will always be a crowd favorite for guys since there’s next to no maintenance needed plus, hair drying is literally a breeze since you don’t need a blower to speed dry yourself before heading out. “Adding sideburns really help frame your face and makes it look thinner,” says Leung and it actually helps you look pretty badass or maybe that’s just Ice Cube.